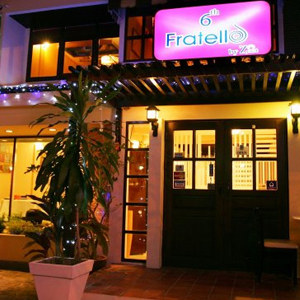 Located in a quiet neighborhood, 6th Fratello is the type of local restaurant you usually never find unless you live in the area. Décor is nothing special, but the food is well thought out. Chef Oat Soopapipatt creates a mean Pan-Fried Duck Foie Gras, Blue Crab Bisque, and Roasted Ambassador Lamb. A sweet little bistro for your first date, or your next one. Take taxi from BTS Ekkamai Station, and turn into Soi 12. 6th Fratello will be on your right.